Oprah Winfrey, the principal speaker for the Afternoon Program, will be joined by a musician, author, chemist, mayor, and others onstage. Photo by Cliff-Watts/Courtesy of Harpo Inc.
A beloved television icon and philanthropist, Oprah Winfrey rose from humble roots to create a global media empire, becoming one of America’s most respected and influential public figures in the process. Winfrey was born in 1954 to a single teenage mother in rural Mississippi, where she endured a poor and abusive childhood. After turning around a struggling Chicago talk show in the 1980s, she quickly garnered national attention and developed her own syndicated program. “The Oprah Winfrey Show,” which ran from 1986 to 2011, topped the daytime talk show ratings for 24 consecutive seasons and revolutionized the genre. In 2011, Winfrey launched the Oprah Winfrey Network, a cable channel that reaches two-thirds of American households. Her other holdings include the movie production company Harpo Films; Oprah Radio, a satellite radio channel on Sirius XM; Oprah.com, which now hosts Winfrey’s wildly successful book club; the daytime television production company Harpo Studios; and the monthly lifestyle publication O, The Oprah Magazine. Over the years, Winfrey has used her considerable influence to bring attention and aid to a number of causes. Her public charity Oprah’s Angel Network raised more than $80 million to build schools, women’s shelters, homes, and youth centers and to fund scholarships. Her private charity, the Oprah Winfrey Foundation, has awarded grants to hundreds of organizations to help women, children, and families. In 2007, she founded the Oprah Winfrey Leadership Academy for Girls, in South Africa. She is the recipient of numerous awards, including the Kennedy Center Honors and the Jean Hersholt Humanitarian Award, and is a member of the National Association for the Advancement of Colored People’s Hall of Fame. Musician, economist, and educator José Antonio Abreu has shaped generations of musicians in his native Venezuela and beyond through El Sistema, the publicly funded national network of youth orchestras he founded in 1975. Wielding classical music as an unlikely weapon in the war on poverty and inequality, he has armed millions of Venezuelan children with musical training, launched the careers of some of the world’s most renowned conductors and musicians, and given his country a new source of national pride. Formally called La Fundación del Estado para el Sistema Nacional de las Orquestras Juveniles e Infantiles de Venezuela, the foundation has reached more than 400,000 children, providing a creative outlet and social mobility for children from impoverished backgrounds. Careful to keep the program nonpartisan, Abreu has helped El Sistema thrive through 10 government administrations. El Sistema now sponsors 31 youth orchestras and more than 200 music centers in Venezuela, and has spawned sister programs in the United States and several European countries. Born in the city of Valera in 1939, Abreu began studying piano at age 9 and violin at 12. Drawn to both orchestral and Venezuelan folk music, he received musical training at the national conservatory and was educated in economics at the Universidad Católica Andrés Bello. He has been guest conductor and organ soloist with the Venezuela Symphony Orchestra, a professor of economics, and a civil servant, and has served in a number of governmental roles in Venezuela, including minister of culture, president of the National Council for Culture, and adviser to the National Economic Council. Abreu has received numerous awards for his work, including Venezuela’s National Music Prize, the Polar Music Prize, and the UNICEF Prize. He is an honorary member of the Royal Philharmonic Society. 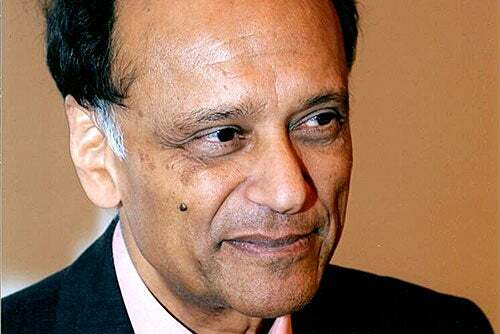 A development and welfare economist, Sir Partha Dasgupta has helped bridge the gap between economics and other disciplines — from anthropology to nutrition to ecology — by studying the relationships among poverty, population growth, and the environment. His work has attempted to introduce “natural capital” into economics. “Until economists take nature seriously, we will not know how current policy will affect future people,” he has said. He has written on the link between malnutrition and the capacity to work, and the link between social capital and resource allocation in the developing world. Dasgupta was born in the then-Indian city of Dhaka in 1942 and educated in Varanasi and New Delhi, India, and in Cambridge, U.K. He studied mathematics and physics as an undergraduate in the 1960s, but as he became more troubled by the Vietnam War, he turned to economics for what he saw as its ability to address political questions. (Economics was also a family affair: He is the son of economist A.K. Dasgupta.) He received his doctorate in economics from Trinity College, Cambridge, in 1968. 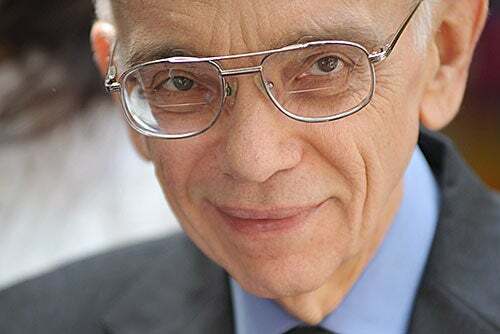 From 1971 to 1984, he taught at the London School of Economics, where he dabbled in various fields and worked with such renowned economists as Joseph Stiglitz, Amartya Sen, and Kenneth Arrow. In 1985, he joined the faculty at the University of Cambridge, where he is currently the Frank Ramsey Professor Emeritus of Economics and a fellow of St. John’s College. He is the author of several books, including “An Inquiry into Well-Being and Destitution” (1993) and “Human Well-Being and the Natural Environment” (2001), and his collected papers were published in two volumes by Oxford University Press in 2010. Dasgupta is also a founder of the journal Environment and Development Economics, which has provided publishing opportunities to promising scholars in the developing world. The recipient of numerous awards and fellowships, he was knighted in 2002. 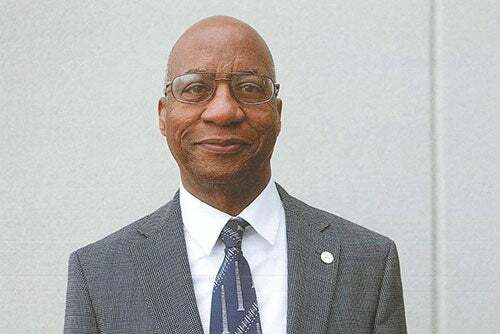 As an African-American growing up during segregation, Donald R. Hopkins determined, as he once put it, “to show the world what I could do.” And while Hopkins achieved his childhood dream of becoming a doctor, he more than lived up to his initial promise. In fighting for the eradication of both smallpox and Guinea worm disease — two of the 20th century’s most horrific diseases — he has helped save the lives of and prevent the suffering of millions. A Miami native from a family of 12, Hopkins graduated from Morehouse College in 1962. He then earned a medical degree at the University of Chicago, where he completed a residency in pediatrics, and a master’s degree from Harvard School of Public Health. During his training, he joined the World Health Organization’s campaign to end smallpox, which at the time killed one in four of its victims. From 1967 to 1969, he directed the Smallpox Eradication/Measles Control Program in Sierra Leone, where his team’s vaccination strategy of aggressive containment and surveillance gained traction worldwide for its effectiveness. By 1980, the disease had been wiped out completely. Throughout the 1970s and ’80s, Hopkins served as an assistant professor of tropical public health at Harvard, and as assistant director for international health, deputy director, and acting director at the Centers for Disease Control and Prevention in Atlanta. In 1987, he joined the Carter Center, where he led a Guinea worm eradication program for 10 years before assuming his current role as vice president for health programs. Since Hopkins began his one-man crusade to end the excruciatingly painful, waterborne scourge of Africa’s rural poor, cases of the disease have dropped from 3.5 million to fewer than 600 annually. A 1995 MacArthur Foundation fellow, Hopkins is also the author of the Pulitzer Prize-nominated 1983 book “Princes and Peasants: Smallpox in History” (later reissued as “The Greatest Killer”). In a career that has spanned more than half a century, Robert May has proven to be the rarest species of scientist: an accomplished practitioner equally skilled in conveying science’s vital importance to the public good. 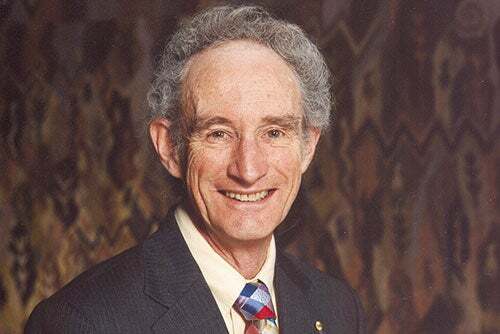 Born in Sydney, Australia, in 1938, May studied (and excelled in) the natural sciences, mathematics, and chemical engineering as an undergraduate — recognizing, he later said, “that there is no recipe for being a successful creative scientist.” He received his doctorate in theoretical physics from the University of Sydney in 1959. Over the past five decades, he has held academic appointments at Harvard, the University of Sydney, Princeton University, and Oxford University, where he is a professor of zoology and fellow of Merton College. A self-described “scientist with a short attention span,” he helped pioneer the field of theoretical ecology and became known for groundbreaking applications of mathematics, particularly chaos theory, to population biology. He has applied his findings on how populations are structured and how they respond to change to a number of subjects, from infectious disease and biodiversity to human-created networks like the British banking system. From 1995 to 2000, May was chief scientific adviser to the British government and head of its Office of Science and Technology. From 2000 to 2005, he served as president of the Royal Society, the fellowship of eminent scientists that often advises policymakers. He was appointed a life peer, or non-party-affiliated lifetime member, of the House of Lords in 2001. In each high-profile position, he earned a reputation as a passionate and effective advocate for scientists’ role in policy debates on cloning, climate change, genetically modified foods, and other controversial issues. May is the recipient of the Royal Swedish Academy’s Crafoord Prize (the highest award given in the field of ecology) and the Royal Society’s Copley Medal, its oldest and most prestigious award. He was knighted in 1996, and in 2002 he received the British Commonwealth’s Order of Merit, an honor restricted to just 24 living members. A lifelong resident of Boston’s Hyde Park, Menino was born the grandson of Italian immigrants in 1942. After graduating from high school, he entered politics, helping with Democratic campaigns while working as an insurance salesman and later taking jobs in a number of state and city offices. He received his bachelor’s degree from the University of Massachusetts, Boston, at age 45. Menino served on Boston’s City Council from 1984 to 1993, representing Hyde Park and Roslindale. In 1993, while president of the council, he was appointed acting mayor after Raymond Flynn left office. He was subsequently elected for five more terms. Menino’s tenure has been marked by a pound-the-pavement work ethic — polls consistently find that half the city’s residents have met Menino personally. Known as the “Urban Mechanic,” he has been lauded for running a fiscally responsible, scandal-free City Hall while reducing violent crime rates, improving student test scores, and overseeing a commercial and residential building boom that revitalized both struggling neighborhoods and the downtown and waterfront areas. 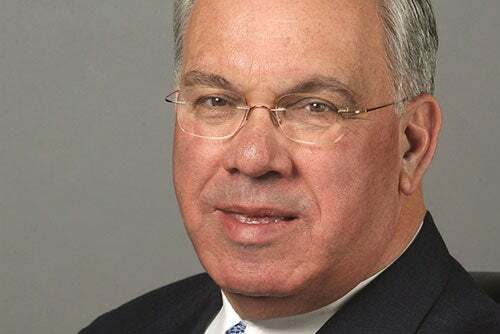 As mayor, Menino has been an early and outspoken advocate for public health initiatives, lesbian, gay, bisexual, and transgender (LGBT) rights, and gun control, issues that occasionally brought him into the national spotlight. In April, he helped guide a grieving city and nation through the Boston Marathon bombings; under his watch, the city received praise for its handling of the medical and police response to the crisis. 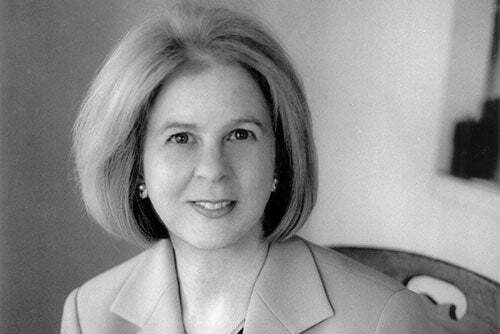 An expert on the religions of late antiquity, Elaine Pagels has done more than perhaps any other living scholar to illuminate the long-forgotten writings of early Christianity that lie outside the biblical canon — particularly the Gnostic Gospels, the set of ancient texts discovered in Egypt in 1945 that describe the teachings of Jesus and his contemporaries. Born in Palo Alto, Calif., in 1943, Pagels explored evangelicalism as a teenager. Though she left her congregation at 16, she remained attracted to Christianity, finding the New Testament both compelling and frustrating. After earning bachelor’s and master’s degrees at Stanford University, she came to Harvard to pursue a Ph.D. in religion. There, she joined a team studying the Nag Hammadi library, a famous collection of third- and fourth-century Gnostic manuscripts. Pagels joined the faculty at Barnard College in 1970, and became chair of its religion department four years later. In 1982 she left for Princeton University, where she is currently Harrington Spear Paine Foundation Professor of Religion. The recipient of a Guggenheim fellowship and a MacArthur Foundation “genius grant,” she is known for accessible prose that brings to life millennia-old theological debates for the modern reader. Her 1979 best-seller, “The Gnostic Gospels,” received both the National Book Critics Circle Award and the National Book Award; the Modern Library named it one of the 100 best English-language nonfiction books of the 20th century. Spangler was born in Charlotte, N.C., in 1932. After graduating from the University of North Carolina, Chapel Hill, in 1954, he received an M.B.A. from Harvard Business School (where his name is now familiar to the hundreds of students who study and socialize in his namesake building, the Spangler Center). He returned to his native state to enter the family businesses of real estate, construction supplies, and banking. 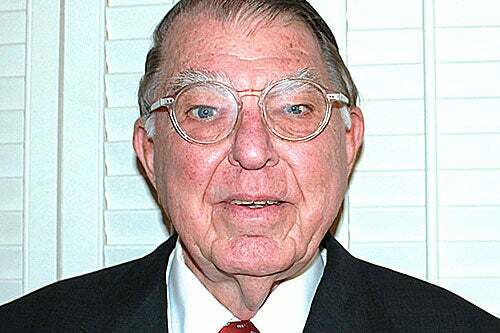 He ran a number of companies, most notably the Bank of North Carolina, his father’s ailing bank, which he turned around and merged with NCNB (now Bank of America) in 1982.
Business, however, was merely Spangler’s first act, one that set the stage for his successful leadership in higher education. He served as chairman of the North Carolina State Board of Education from 1982 to 1986. As UNC’s president from 1986 to 1997, he boosted enrollment and faculty funding while prioritizing educational quality and affordability. Since his retirement from the university, he has donated millions to UNC, Harvard, and Teach for America. From 1998 to 2004, he was a member of Harvard’s Board of Overseers, and served as the board’s president from 2003 to 2004. In his spare time, Spangler enjoys repairing grandfather clocks. 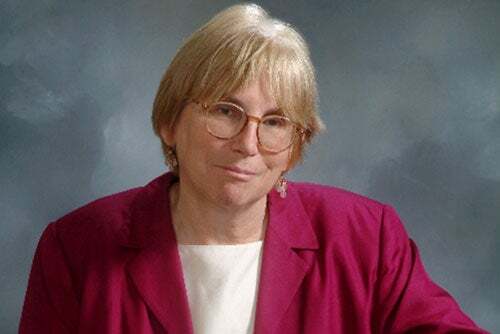 The Novartis Professor of Chemistry and a professor of biology at the Massachusetts Institute of Technology (MIT), JoAnne Stubbe has developed a body of successful research that shows the power of chemistry to solve some of biology’s most pressing problems. Her most noted work has explained how nature harnesses the reactivity of free radicals to carry out complex, highly specific chemistry. For instance, her lab has explained the mechanism of enzymes called ribonucleotide reductases that allow RNA to copy and repair DNA, as well as the point at which such conversions can go awry — research that led to the design of a drug, gemcitabine, that is now used to treat pancreatic and other cancers. Stubbe’s team also discovered the structure and function of bleomycin, an antibiotic used as a cancer treatment, revealing how the drug damages DNA at a structural level and kills cancer cells. She and her collaborators are now experimenting with the use of bacterial enzymes to create biodegradable plastics, an alternative to oil-based plastics. To her colleagues, she is admired as a scientist’s scientist, a creative and relentless critical thinker who remains dedicated to “unraveling nature’s beauty in ways unimaginable,” as she once described her work. Before joining the MIT faculty in 1987, Stubbe held assistant professorships at Williams College, Yale Medical School, and the University of Wisconsin, where she became a full professor. She earned a bachelor’s degree in chemistry in 1968 from the University of Pennsylvania and a Ph.D. in organic chemistry in 1971 from the University of California, Berkeley. Born in Champaign, Ill., in 1946, she has received numerous awards, including the National Medal of Science. Josh Wortzel '13, a human developmental and regenerative biology concentrator, hopes to combine his passions, bringing new technology to the world, but also bringing theater and song, and maybe even a garden or two, to the hospitals where he will work.